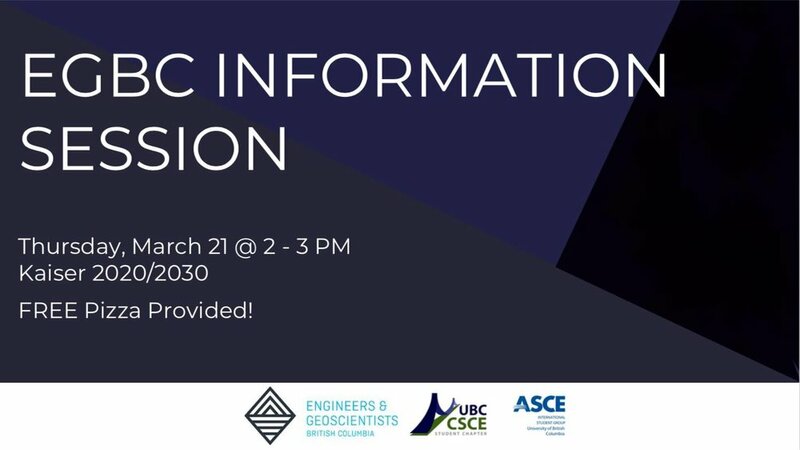 The UBC ASCE and CSCE Student Chapters have joined efforts to host an informative session by EGBC. Join us and learn about all things related to Engineering grad - Registering as an EIT, Working towards your P. Eng certification and more! Hosted by ASCE and CSCE. Civil End of the Year BBQ!